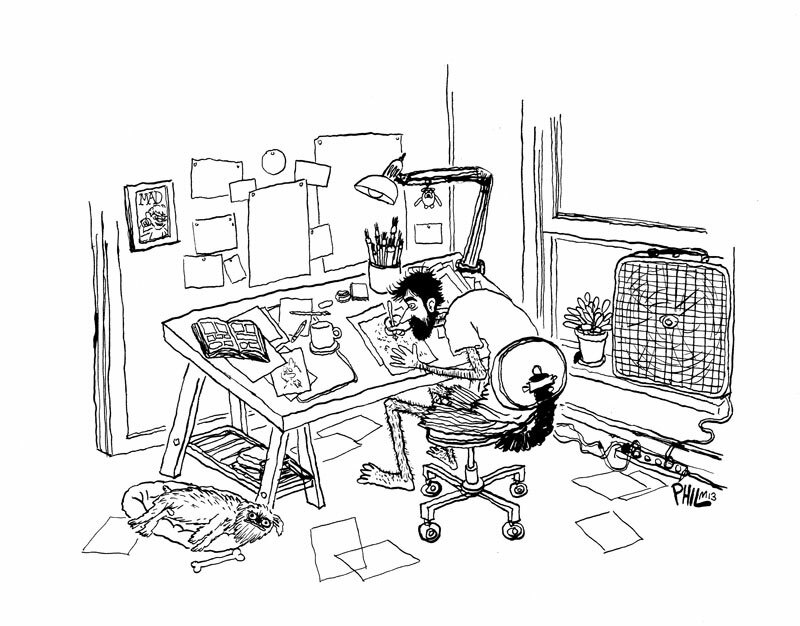 You sit down to draw or doodle. A blank sheet of paper stares back up at you. Your pencil feels heavy. You start sweating and your vision gets all wiggly. You don't know what to draw. It happens to everyone! Sometimes you need a little something to get your creative juices flowing. I keep a list of STUFF YOU SHOULD DRAW. I constantly add to the list. When I sit down to doodle, I often pick something from the list at random. Some of the things on the list are fun, some are boring, some are easy, some are challenging. Some of these things you've probably drawn hundreds of times already. And that's okay! The purpose of the list is just to get your pencil moving. The list can also be used as a way to challenge yourself, to improve your drawing chops. Find something that you're afraid to draw or that you've never tried to draw before and draw it. Find something you think would be really boring to draw (a ceiling fan? a chain link fence?) and find a way to make it interesting and fun. Find something you've drawn a million times and force yourself to draw it differently in some way. Or take a bunch of things from the list and combine them in one drawing.